Yadadri Sri Laxmi Narasimha Swamy Brahmtsavam 2017 is going to be held from February 27 to March 9th. 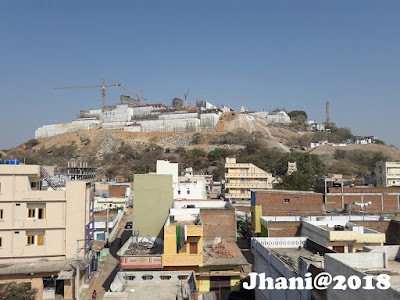 Since the Construction works of the Temple redesign works are going on, Temple Authorities planning to celebrate main festivals of Swamy vaaru at Down hill this year. If this happen, i think this may the first time that Swamy vaari Kalyanamahotsavam and Rathototsavam celebrating in down hill and on the streets of Yadagirigutta Town, Since my childhood we had to go to uphill for all the celebrations every day. but first time swamy is coming to down hill is the exciting news for all our locals. we have seen recently the swamy vaari kalyanam celebrated in different cities of America and also in Hyderabad near Prasad Imax. Before this event from 21 to 26 Maha Shivarathri Celebration will be held.